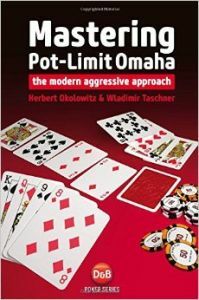 Most PLO books advocate a highly conservative game-plan – this style is outdated and will get you crushed in today’s games. Mastering PLO is different. It is a unique and remarkable book and will teach you a whole new approach to the game. * pre-flop hand selection and pre-flop hand dynamics – including analysis of wide 3- and 4-bet ranges and the theory behind optimal bet-sizing. * how to use equity shifts on turn and river to your advantage and how to bluff correctly. * How to understand the game better and develop a holistic view of the play: connecting preflop decisions to action on later streets. A clear game-plan and the right mind-set will improve your win-rate tremendously and give you the edge against your opponents. Mastering PLO will give you that edge!